Mostly hesterectomies are done to provide relief from heavy bleeding during period. 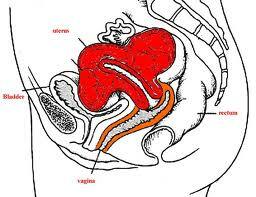 Surgical operation is necessary for the treatment of menorrhagia and menstrual bleeding. Due to heavy menstrual bleeding, problems may get worse. Menorrhagia can cause iron deficiency anemia. With menorrhagia, a person can feel embarrassed and self-conscious. The condition of menorrhagia should be diagnosed by an expert doctor to find out many underlying causes like uterine fibroids and cancer. Many doctors may to be aware of all possible causes of menorrhagia, which also include deficiency of vitamin K.